tandoori roti recipe | tandoori roti on stove top recipe with detailed photo and video recipe. basically, its an indian flat bread recipe prepared with wheat flour in a traditional clay oven. tandoori roti’s are usually consumed with indian curries. tandoori roti recipe | tandoori roti on stove top recipe with step by step photo and video recipe. 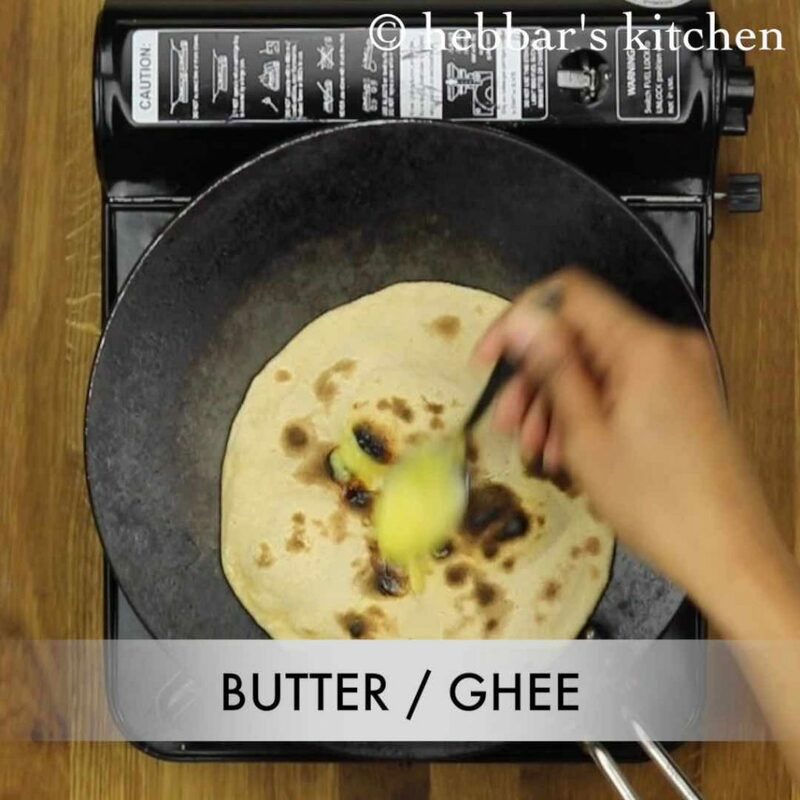 a traditional indian flat bread recipe prepared with wheat flour. it is also a staple food of north india especially north west and punjab. originally, tandoori roti’s are roasted and prepared in clay oven known as tandoor. however, in this recipe i have used the alternative’s like tawa and pressure cooker. 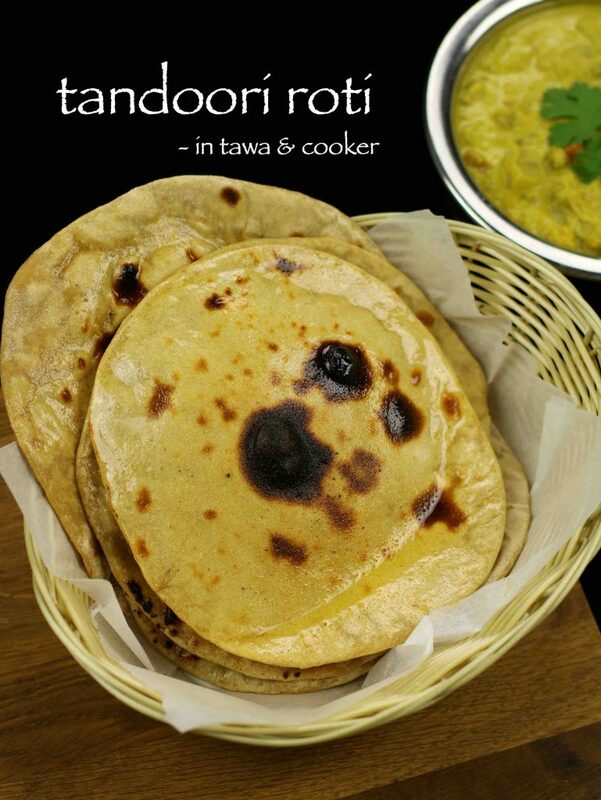 well, tandoori roti is one such bread recipe which i do not get apathy. perhaps, it has become one of my “must order recipe” whenever we are having outdoor dinners. it is such a simple and addictive dish. well being a south indian, rice was my staple food. i use to consume tandoori roti’s only during occasions like birthday party or marriages. however, after my marriage, i had to quickly adopt to my husband’s diet plan as he prefers to have roti’s for dinner. perhaps, his diet has made me to develop a unique bonding to this amazing tandoori roti recipe. furthermore, i would like to share some tips and tricks to get a perfect tandoori roti. in this post i have shown 2 variations of preparing tandoori roti. i personally prefer the tawa option instead of cooker option. secondly, you have to knead the dough thoroughly for minimum 10 mins for best result. also, i have used wheat flour to prepare the tandoori roti. if you wish, you can use 1:1 ratio of wheat and plain flour for even better results. lastly, apply generous amount of water on one side of roti before roasting. 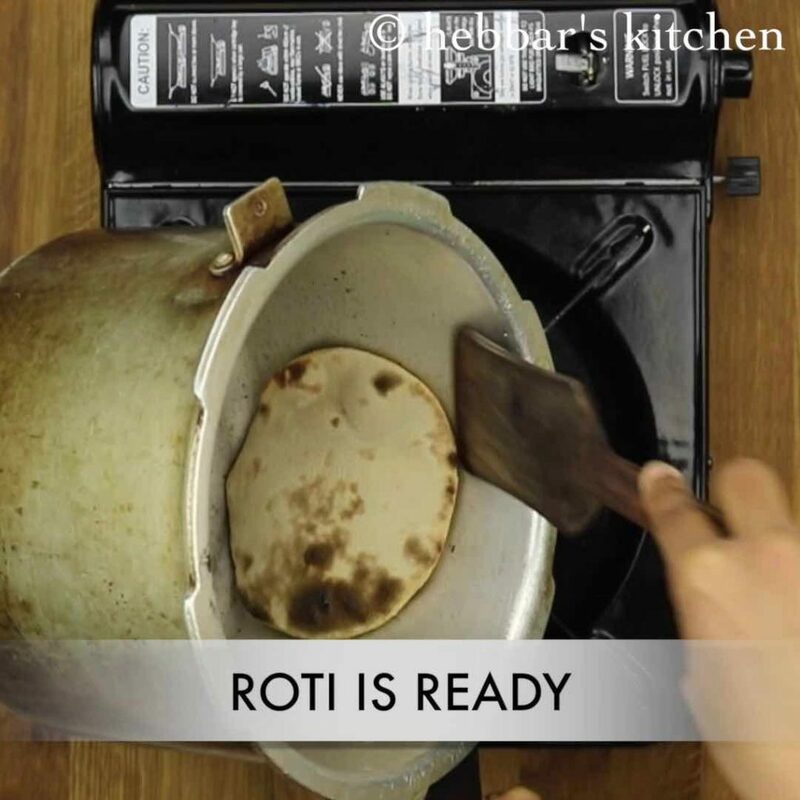 this would ensure the roti’s to stick to the tawa/cooker and cook properly. finally, i request you to look into my other indian roti recipes and indian paratha recipes. specifically, garlic naan recipe, rumali roti, lachha paratha recipe, aloo cheese paratha and mooli paratha recipe. 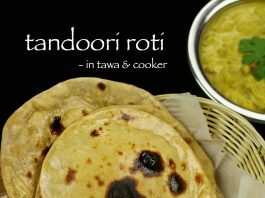 also, have a look at my indian curry recipes for tandoori roti. particularly, palak paneer, kadai paneer, paneer tikka masala, dum aloo recipe and veg kurma recipe. 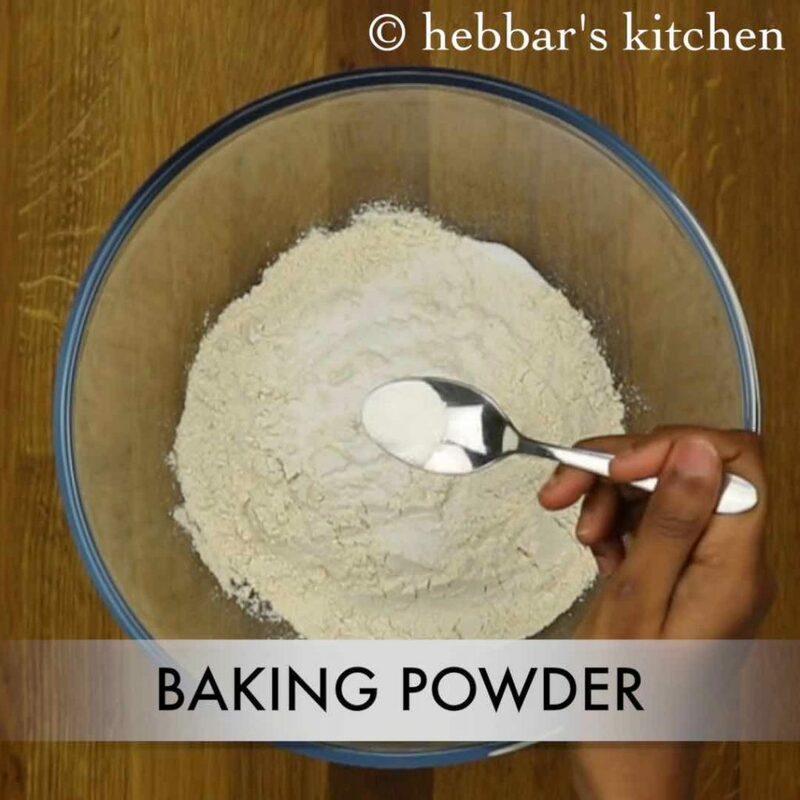 firstly, in a large mixing bowl take wheat flour, salt and baking powder. 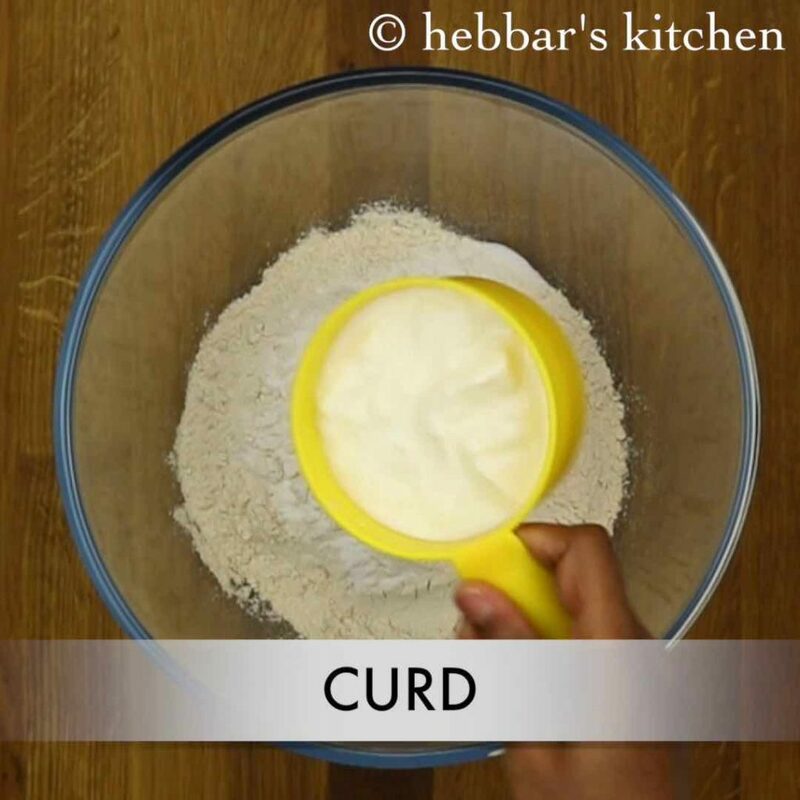 also add curd and crumble well. 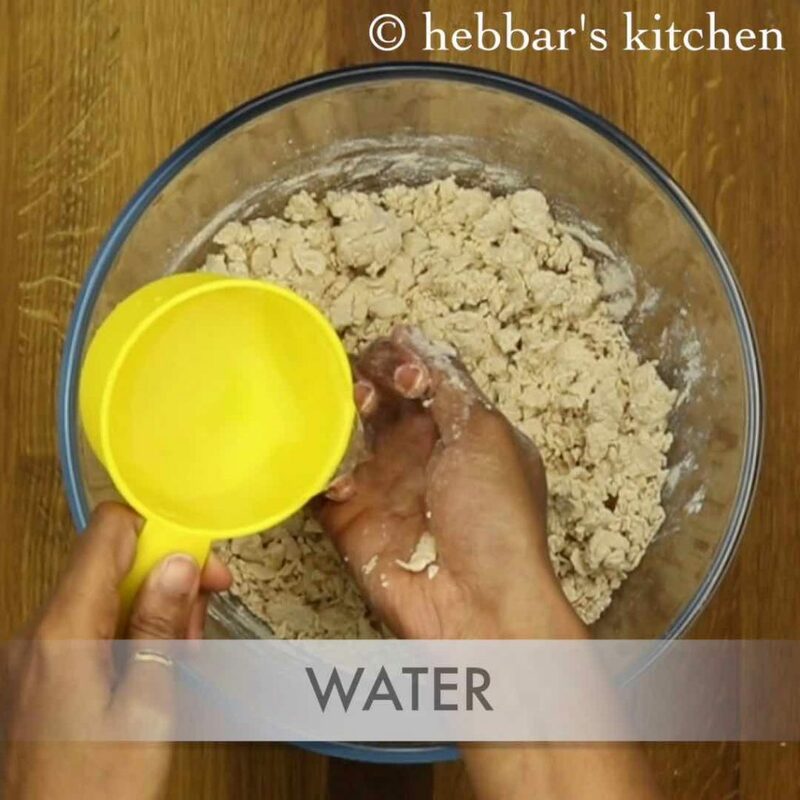 further add water as required and knead to smooth and soft dough. 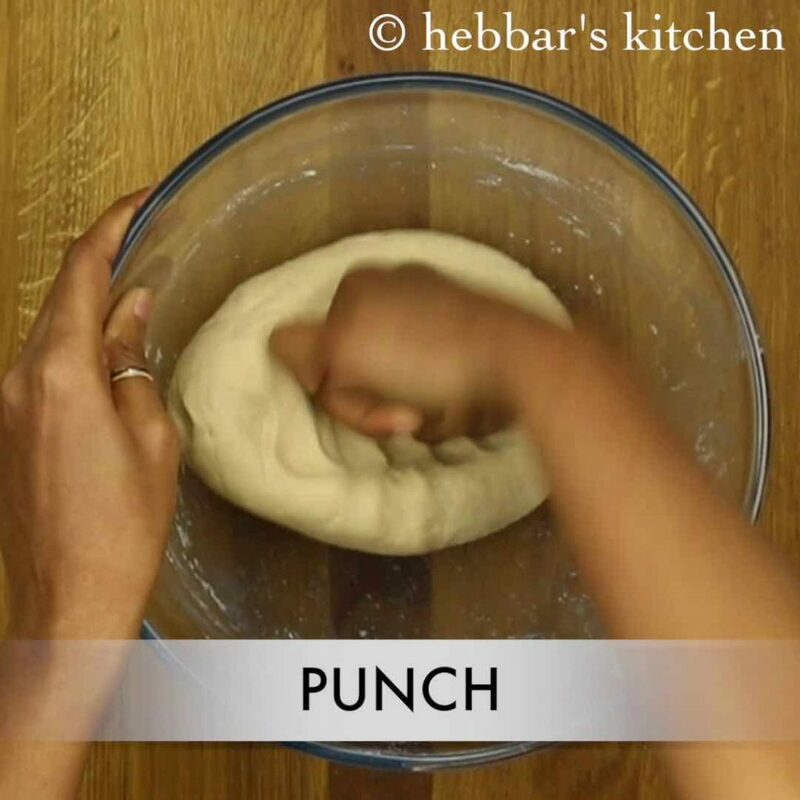 punch well to make smooth dough. 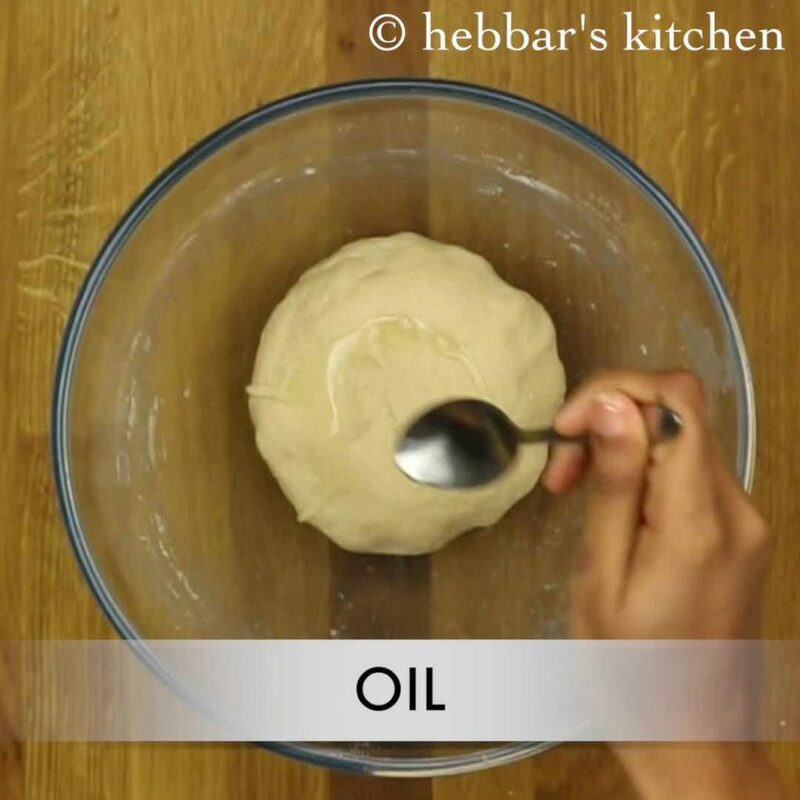 also grease the dough with a tsp of oil. cover with a moist cloth and rest for 30 minutes. 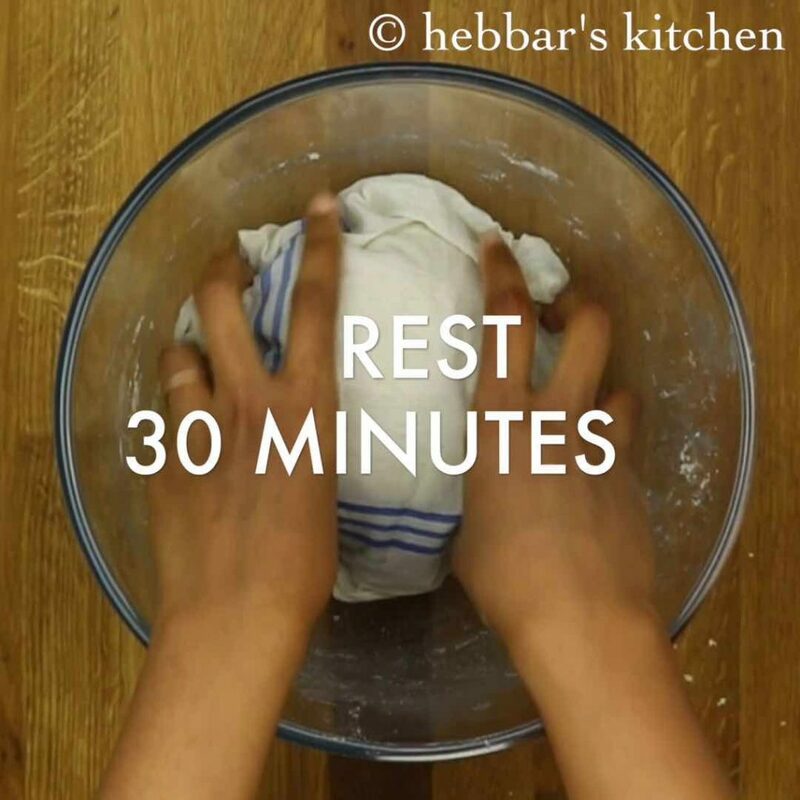 after 30 minutes, pinch a small ball out of dough. 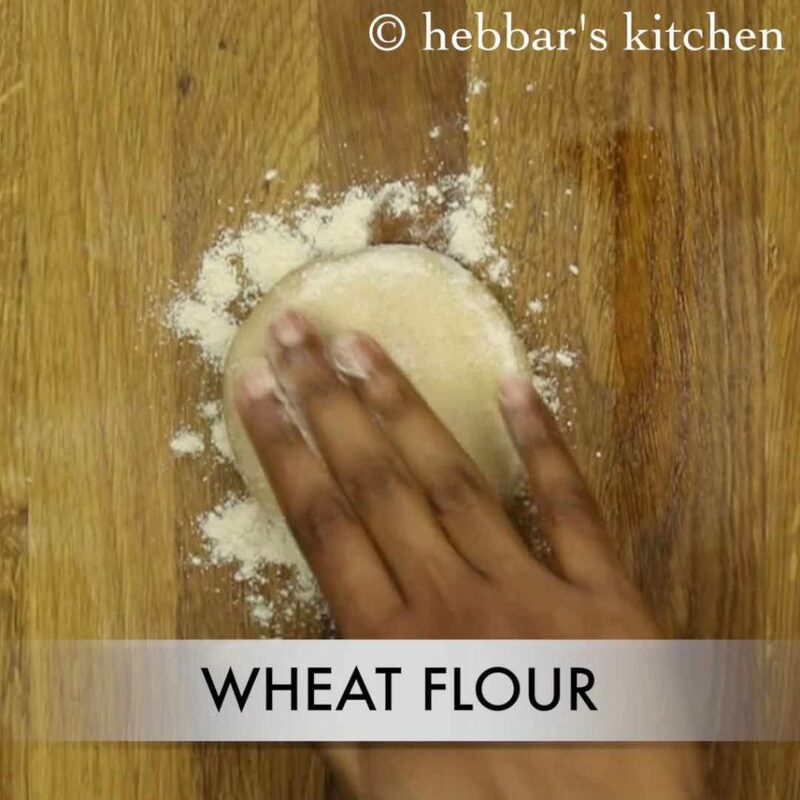 press and flatten by dusting with some wheat flour. brush with water on one side of rolled chapathi. 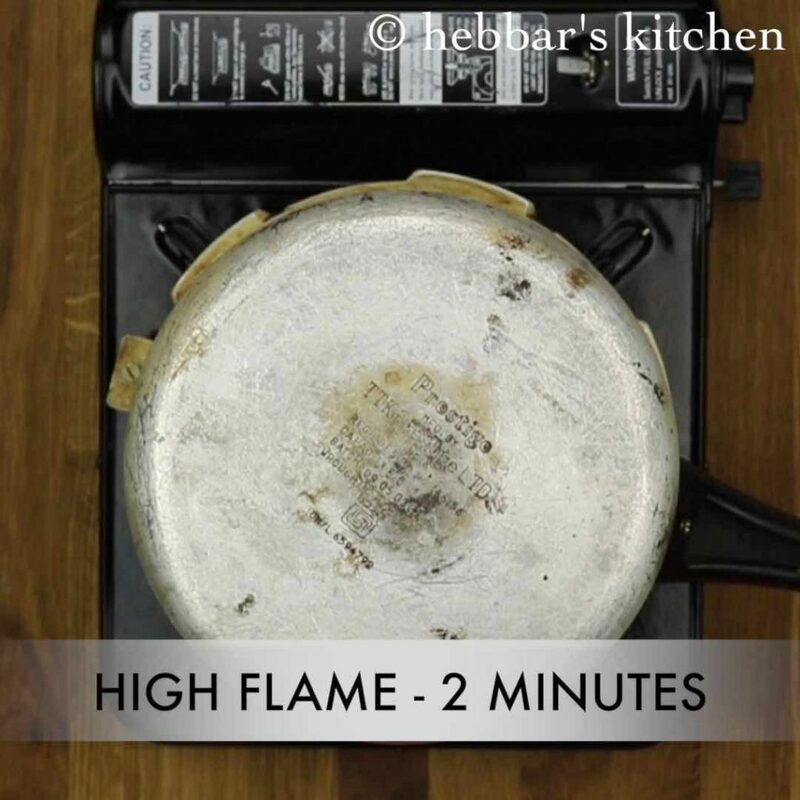 heat the cooker on high flame for 2- 3minutes. now stick the rolled chapathi on the sides of cooker. 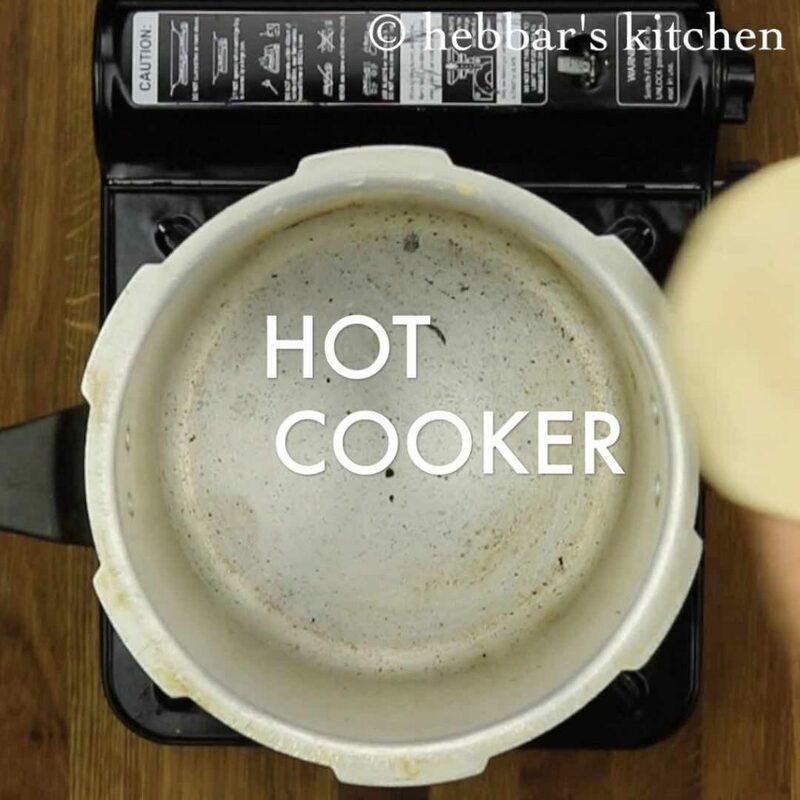 turn over the cooker and keep the flame on high for 1-2 minutes. allow the roti to cook till they turn golden brown and swell in between. now take the scrapper and take off the roti. now stick the rolled chapathi over hot tawa. 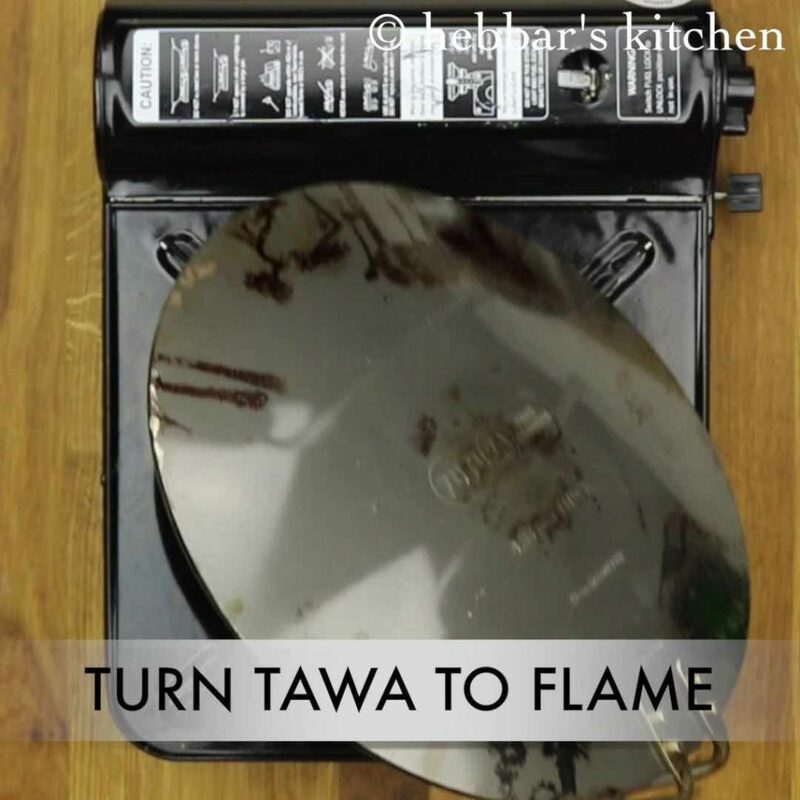 now after a minute, flip the tawa upside down and cook roti directly on medium flame till they turn golden brown. also, add some butter / ghee. finally, serve tandoori roti hot. 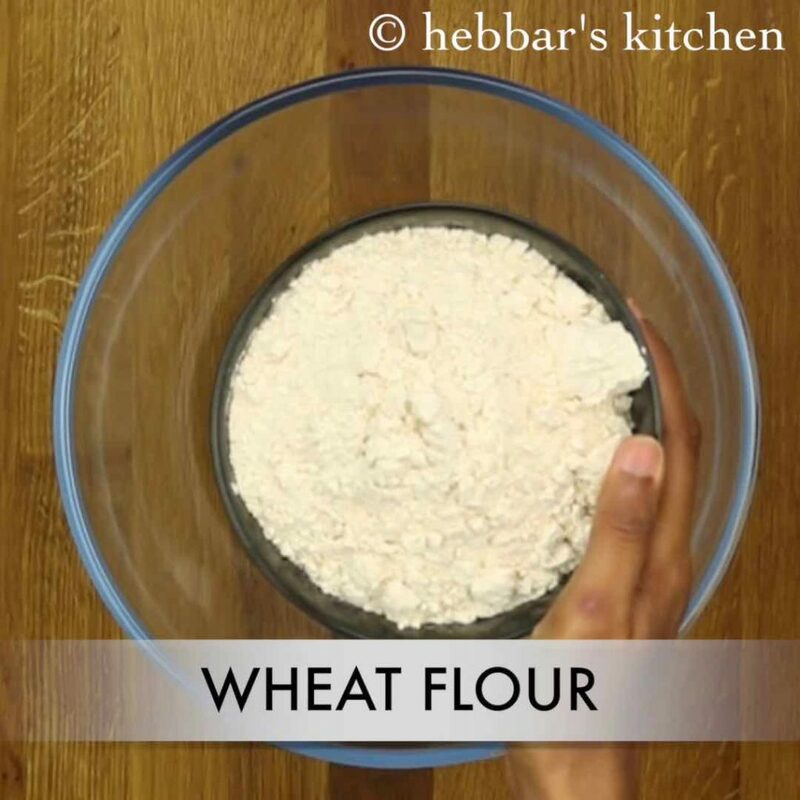 firstly, in a large mixing bowl take wheat flour. furthermore, add salt and baking powder to it. furthermore, with the help of rolling pin roll to slightly thick circle like chapathi. dust with wheat flour if required. brush with water on one side of rolled chapathi. this helps roti to stick on tawa / cooker. now stick the rolled chapathi on the sides of cooker (cooker wall). place the water side facing the wall and slightly press. 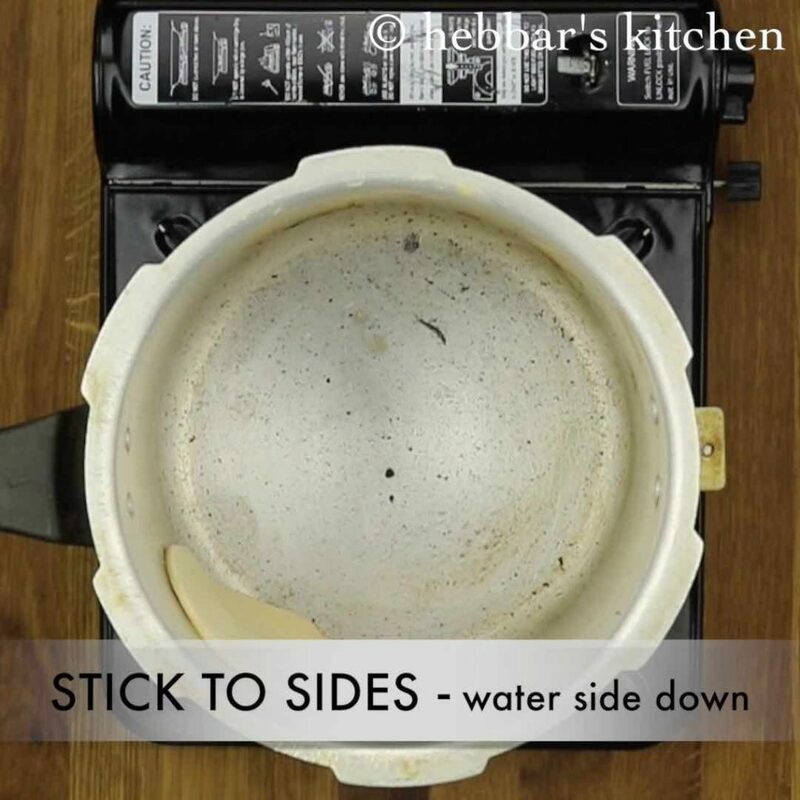 this helps the roti to stick on to the cooker and when you can turn the cooker upside down it will be intact. now stick the rolled chapathi over hot tawa. remember, be gentle and put the water coated side down to tawa. slightly press. 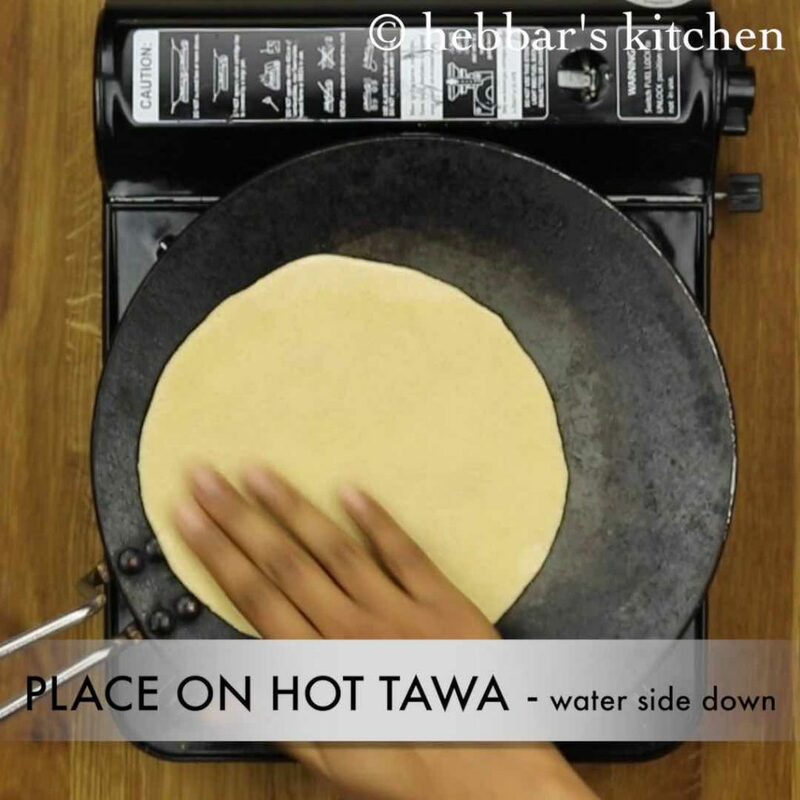 this helps the roti to stick on to the tawa and when you can flip the tawa upside down it will be intact. 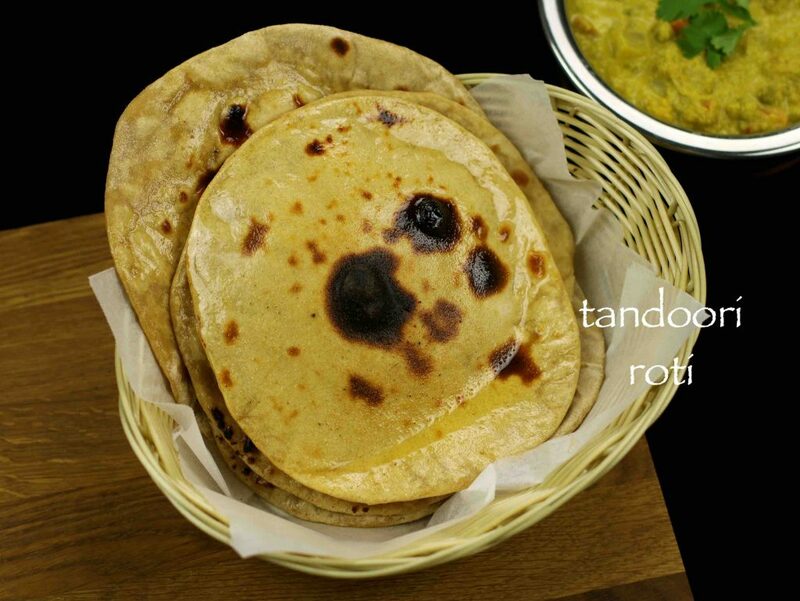 finally, serve tandoori roti hot with your favourite curry like palak paneer or malai kofta. firstly, knead the dough well else the roti will be hard. also, applying water is mandatory. 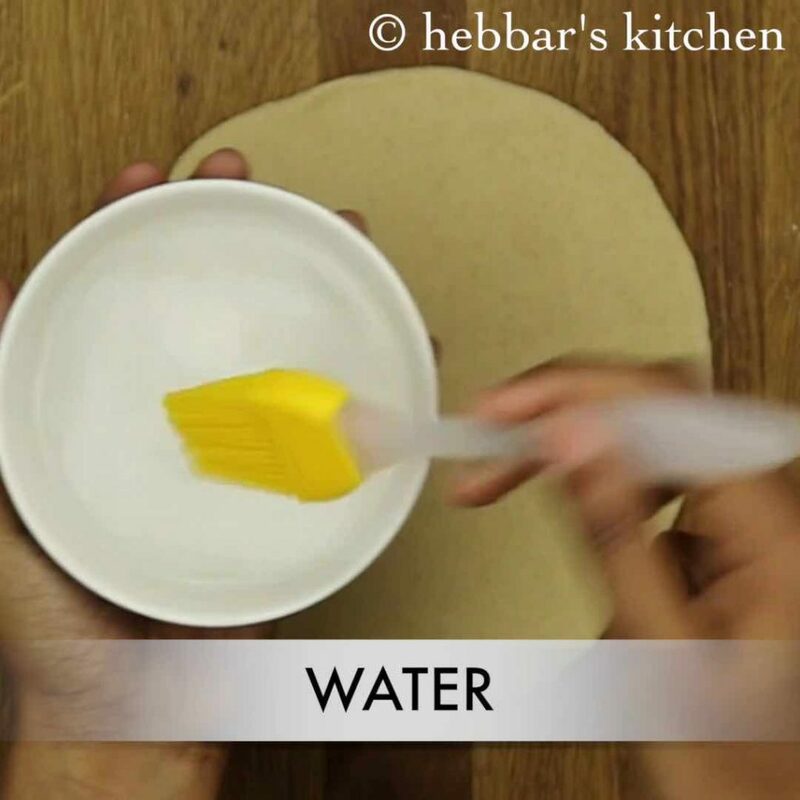 this helps roti to stick to tawa and can reverse the tawa and cook directly on flame. in addition, you can also use oven to bake the roti instead of tawa / cooker. finally, applying ghee / butter is optional. i made tandoori roti on tawa yesterday,it came out really well.very much appreciate ur efforts in making those recipes simple and yet very tasty! great job! al the best!